Demand factor is always less than one. Example: if a residence having 6000W equipment connected has a maximum demand of 300W,Than demand factor = 6000W / 3300W = 55%. Feeder-circuit conductors should have an ampere sufficient to carry the load; the ampere of the feeder-circuit need not always be equal to the total of all loads on all branch-circuits connected to it. Remember that the demand factor permits a feeder-circuit ampere to be less than 100% of the sum of all branch-circuit loads connected to the feeder. Fluorescent fixtures=1 No, 5kw each, Receptacle outlets =1 No, 1500w each. Lathe=1No, 10 Hp, Air Compressor=1 No, 20 Hp, Fire Pump=1 No, 15 Hp. The shop lights are on only during the hours of 8 a.m. to 5 p.m. The receptacle outlets are in the office only, and will have computers and other small loads plugged into them. The lathe is fully loaded for 5 minutes periods. The rest of the time is setup time. This procedure repeats every 15 minutes. The air compressor supplies air to air tools and cycles off and on about half the time. The fire pump only runs for 30 minutes when tested which is once a month after hours. Lighting Demand Factor = Demand Interval Factor x Diversity Factor. Lathe Demand Factor = Demand Interval Factor x Diversity Factor. Air Compressor Demand Factor = Demand Interval Factor x Diversity Factor. Fire Pump Demand Factor = Demand Interval Factor x Diversity Factor. Diversity Factor = Sum of Individual Max. Demand. / Max. Demand on Power Station. Diversity Factor = Installed load. / Running load. The load is time dependent as well as being dependent upon equipment characteristics. The diversity factor recognizes that the whole load does not equal the sum of its parts due to this time Interdependence (i.e. diverseness). When the maximum demand of a supply is being assessed it is not sufficient to simply add together the ratings of all electrical equipment that could be connected to that supply. If this is done, a figure somewhat higher than the true maximum demand will be produced. This is because it is unlikely that all the electrical equipment on a supply will be used simultaneously. The concept of being able to De-rate a potential maximum load to an actual maximum demand is known as the application of a diversity factor. 70% diversity means that the device in question operates at its nominal or maximum load level 70% of the time that it is connected and turned on. If total installed full load ampere is twice your running load ampere then the diversity factor is two. If total installed full load ampere is four times your load a ampere then the diversity factor is four. Diversity factor in a distribution network is the ratio of the sum of the peak demands of the individual customers to the peak demand of the network. This will be determined by the type of service, i.e., residential, commercial, industrial and combinations of such. Example-I: A distribution feeder serves 5 houses, each of which has a peak demand of 5 KW. The feeder peak turns out to be 20 kw. The diversity is then 20/25 or 0.8. This results from the timing differences between the individual heating/cooling, appliance usages in the individual customers. As supply availability decreases, the diversity factor will tend to increase toward 1.00. This can be demonstrated when restoring service after outages (called “cold starts”) as the system initial surge can be much greater than the historical peak loads. While the maximum demand of all three feeders is 33 MW at 8:00 pm. Here, the sum of the maximum demand of the individual sub-systems (feeders) is 10 + 12 + 15 = 37 MW, while the system maximum demand is 33 MW. The diversity factor is 37/33 = 1.12. The diversity factor is usually greater than 1; its value also can be 1 which indicates the maximum demand of the individual sub-system occurs simultaneously. The building at these co-ordinates is fitted with a 100A main supply fuse. The distribution board has 2no. 6A breakers, 1no. 20A breaker and 5no. 32A breakers, a total, potentially, of 192A. Not all these rated loads are turned on at once. If they were, then the 100A supply fuse would rupture, as it cannot pass 192A. So the diversity factor of the distribution board can be said to be 192A/100A, or 1.92, or 52%. In the case of the example given above, achieving a diversity of 1.0 or 100% would require well over twice the cross-sectional area of copper cable to be installed in a deep trench underneath a field, the rebuild of a feeder cabinet to larger dimensions, more substantial overhead supply cables for a distance exceeding 2km northwards and a different tariff, where one pays rather more for a kWh than at present. The investment required to achieve 1.0 simply isn’t justifiable in this particular case. Example: 5 storey apartment building with 25 consumers, each having 6 kVA of installed load. It is a matter of common experience that the simultaneous operation of all installed loads of a given installation never occurs in practice, i.e. there is always some degree of diversity and this fact is taken into account for estimating purposes by the use of a simultaneity factor / Diversity Factor (ks). The Diversity factor ks is applied to each group of loads (e.g. being supplied from a distribution or sub-distribution board). The determination of these factors is the responsibility of the designer, since it requires a detailed knowledge of the installation and the conditions in which the individual circuits are to be exploited. For this reason, it is not possible to give precise values for general application. Diversity factors are used by utilities for distribution transformer sizing and load predictions. Demand factors and diversity factors are used in design. For example, the sum of the connected loads supplied by a feeder is multiplied by the demand factor to determine the load for which the feeder must be sized. This load is termed the maximum demand of the feeder. The sum of the maximum demand loads for a number of sub feeders divided by the diversity factor for the sub feeders will give the maximum demand load to be supplied by the feeder from which the sub feeders are derived. Example-1: Suppose We have four individual feeder-circuits with connected loads of 250 kVA, 200 kVA, 150 kVA and 400 kVA and demand factors of 90%, 80%, 75% and 85% respectively.Use a diversity factor of 1.5. The sum of the individual demands is equal to 837.5 kVA. If the main feeder-circuit were sized at unity diversity: kVA = 837.5 kVA ÷ 1.00 = 837.5 kVA. The main feeder-circuit would have to be supplied by an 850 kVA transformer. However, using the diversity factor of 1.5, the kVA = 837.5 kVA ÷ 1.5 = 558 kVA for the main feeder. For diversity factor of 1.5, a 600 kVA transformer could be used. Example-2: A conveyor belt made up of six sections, each driven by a 2 kW motor. As material is transported along this belt, it is first carried by section 1, and then each section in succession until the final section is reached. In this simple example only one section of conveyor is carrying material at any point in time. Therefore five motors are only handling no-load mechanical losses (say .1 kW) keeping the belts moving whilst one motor is handling the load (say 1 kW). The demand presented by each motor when it is carrying its load is 1 kW, the sum of the demand loads is 6 kW but the maximum load presented by the system at any time is only 1.5 kW. Diversity factor =Sum of Individual Max. Demand / Max. Demand = 6 Kw / 1.5 Kw =4. Demand Factor = Maximum demand / Total connected load = 1.5 Kw / 12 Kw = 0.125. Load Factor = Average load. /Maximum load during a given period. It can be calculated for a single day, for a month or for a year. Its value is always less than one. Because maximum demand is always more than avg. demand. It is used for determining the overall cost per unit generated. Higher the load factor, lesser will be the cost per unit. Load Factor = Load that a piece of equipment actually draws / Load it could draw (full load). Example: Motor of 20 hp drives a constant 15 hp load whenever it is on. 82% load factor = (3000 kWh per month x 100%) / 5 kW x 730 hours/month. 41% load factor = (3000 kWh per month x 100%) / 10kW x 730 hours/month. To encourage the efficient use of installed capacity, electricity rates are structured so the price per kWh above a certain load factor is lower. The actual structure of the price blocks varies by rate. In normal operating conditions the power consumption of a load is sometimes less than that indicated as its nominal power rating, a fairly common occurrence that justifies the application of an utilization factor (ku) in the estimation of realistic values. Utilization Factor = The time that a equipment is in use./ The total time that it could be in use. Example: The motor may only be used for eight hours a day, 50 weeks a year. The hours of operation would then be 2000 hours, and the motor Utilization factor for a base of 8760 hours per year would be 2000/8760 = 22.83%. With a base of 2000 hours per year, the motor Utilization factor would be 100%. The bottom line is that the use factor is applied to get the correct number of hours that the motor is in use. This factor must be applied to each individual load, with particular attention to electric motors, which are very rarely operated at full load. In an industrial installation this factor may be estimated on an average at 0.75 for motors. For socket-outlet circuits, the factors depend entirely on the type of appliances being supplied from the sockets concerned. Assessment of maximum demand is sometimes straightforward. For example, the maximum demand of a 240 V single-phase 8 kW shower heater can be calculated by dividing the power (8 kW) by the voltage (240 V) to give a current of 33.3 A. This calculation assumes a power factor of unity, which is a reasonable assumption for such a purely resistive load. There are times, however, when assessment of maximum demand is less obvious. For example, if a ring circuit feeds fifteen 13 A sockets, the maximum demand clearly should not be 15 x 13 = 195 A, if only because the circuit protection will not be rated at more than 32 A. Some 13 A sockets may feed table lamps with 60 W lamps fitted, whilst others may feed 3 kW washing machines; others again may not be loaded at all. Chokes and other control gear usually distort the waveform of the current so that it contains harmonics which are additional to the fundamental supply current. The article is crapt, cite your sources. This is a great job. Your contributions to engineering profession have been immense. They shall speak after you. Muchas gracias por compartir esta información; mucho trabajo y horas de estudio. Saludos desde México. 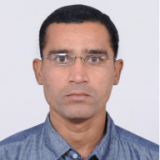 I am very much happy to your highly appreciateable work. Very good inputs on critical design factors to be considered for load estimations. I need to re-estimate a typical energy requirement for a steel rolling mill, based on connectd load and assumd average loading of motors. Could you suggest the international standadrs that I must quote and refer in my report ofcalculations? I think there is a wrong in Example-I: A distribution feeder serves 5 houses, each of which has a peak demand of 5 KW. The feeder peak turns out to be 20 kw. The diversity is then 20/25 or 0.8. I want know that motor solo run shall be 4hours even small motor? I try to find in ASME, but cannot..
please advice to shorten 2hours for solo run test.. If Not so please clarify??.. Your calculation of DF is the right one. In your diversity factor section you indicate the usual “always greater than one” definition, however, later on on the same section, you use the IEC definition of Diversity factor (less than one). It might be confusing for inexperienced people. Just a friendly heads up. did we take Demand factor for water or west water plant ? if it will …what will be ?? can anyone tell me the meaning of RMD and BMD in transmission line..
kindly correct….. demand factor = maximum demand/ no. of connected load,,,,,,,,, diversity factor = no. of connected load/maximum demand..
your examples (1and 2) for diversity factor, oppose each other, kindly confirm the correct one…. sir client has EB service panel for 12 flats and also purchased kirloskar 125 Kva DG, I have suggested for ATYS panel but client is not ready to spend more money give me a suggestion. Yes. Agree with you. This is just reference Value .This Value vary according to it’s user’s Profile. We can not predict the actual value but this table value helpful us to calculate more realistic assumption. I got this Table from one Book or Manual. If it is more valuable for You than I will defiantly convey it’s Reference Source. Do you happen to base on any Code or Standards or written guideline for the diversity factors to various type of development? If yes, will appreciate if you could forward them to me, for my current studies. Just curious – how many industries were surveyed for load factor (given near the end of the write up). This information is extremely interesting. Thanks! This really a great valuable information for me as a senior students studying power distribution system .Thanks for this great post .